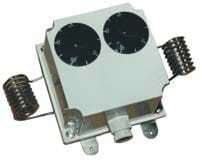 Fixed temperature bimetals thermostats are devices whose temperatures are factory fixed, and which have no set point access by the user. They are used, depending on the model, as control devices or safety. The contacts can be slow make or break or snap action, control or reset, normally open, normally close or SPDT. Almost all contact options described above are possible. These devices are divided in two major groups: those sensitive to the current (which are smaller) and those insensitive to the current. The most common ranges are set from 20 to 180 ° C.
However, models with ceramic case can be made up to 450 ° C, and waterproof models to -30 ° C.
They are adjustable by screwdriver or shaft. Their main applications are in small appliances (deep fryers, irons). They are always control type devices, using a bimetal strip. Common temperature ranges are from 20 to 300 ° C.
They are current sensitive or insensitive depending on models. Models with current sensitive bimetal or heated by a resistance, are used in energy regulators. 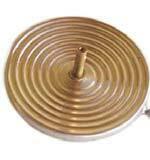 Bimetallic spirals have been widely used for the production of thermostats. This system is now abandoned by European manufacturers, as it required using a mercury bulb contact, or a slow break contact. 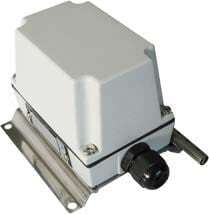 There are still only a few manufacturers in the USA, for 110V applications. 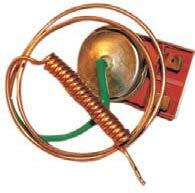 These bimetallic spirals (helicoil style) are still used in some air duct thermostats (Called airstats). These control devices, adjustables, slow break, have a very high precision, and the lowest possible differential for a mechanical thermostat: less than 1/10 ° C. In general, they are mounted in a 15.8mm dia. bore. However, because of their slow break, generating radio interferences in 230V, their use in Europe is marginal, restricted to uses in some laboratory hotplates. Common temperature ranges are from 20 to 300 °C. 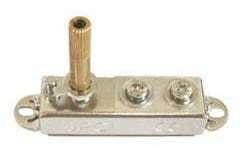 These control devices, adjustable, slow break, have a very high precision, and low differential: less than 1 ° C. They are mounted on a flat wall, fixed by 2 screws . However, because of their slow break, generating radio interferences in 230V, their use in Europe is marginal, restricted to uses in some laboratory hotplates or when low differential are sought. Common temperature ranges are from 20 to 250 °C. It is currently the main application of bimetallic systems. The bimetallic rod actuates a contact system. The setting can be fixed or with a graduated knob. The contacts are control , manual reset or mixed types. • Household storage water heaters. 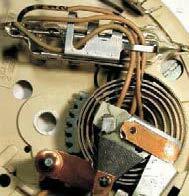 They are controlled by a screwdriver adjustment, with single-pole switching thermostat for temperature control , with temperature sensing made by the rod, and double pole switching for the manual reset, with temperature sensing usually made by a bimetal disc located at the bottom of the tank. They are protected by the cover mounted under the water heater. 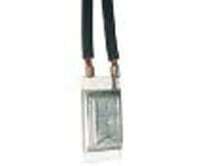 • In water heaters and industrial tanks. The temperature control devices are then split: one for control and one for safety. They are mounted in IP65waterproof housings. 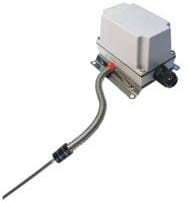 • In hydraulic systems, where they are use for oil temperature control. They have 1,2 or 3 staggered contacts to provide different levels of alert and security. Current temperature ranges span from -50 to 400 ° C. However, some special models can reach 800 °. 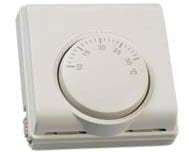 This is one of the first thermostat systems, invented after the mercury thermometers. 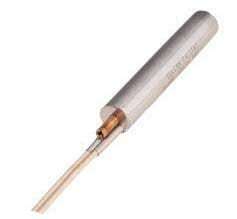 A wire is inserted in the capillary glass tube. 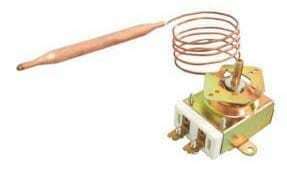 When the mercury touches the wire, the contact is established. This type of thermometer has long been the reference instrument for precise temperature control . It has no more serial applications. 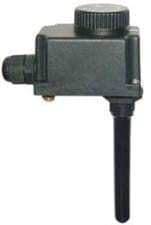 This is the most common remote measurement and temperature control. The capillary lengths can be up to 3 meters but with a significant drift due to the amount of liquid within the capillary. In this series, fail safe devices may be produced . Current ranges of temperature span from -50 ° C to 400 ° C, exceptionally up to 760 ° C.
This family is a variant of the bimetal expansion rod thermostat. It differs by a greater resistance to vibration but a longer response time. Applications are identical. 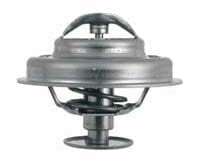 Current ranges of temperature ranging from -50 ° C to 400 ° C, exceptionally up to 760 ° C.
These thermostats use a bulb and capillary mechanism , thermostat but with a very short capillary and a bulb beneath the housing on a pipe radius formed plate. The housing has a system for fixing the plate on a pipe. Usual setting of these control these devices are between 0 and 120°C. These thermostats use a bulb and capillary mechanism but with a very short capillary and a bulb located at the side or at the back of the housing. This system is particularly useful for professional and industrial equipment. Current ranges of temperature span from -40 ° C to 120 ° C.
These vapor pressure devices are mainly used in electric convector thermostats, due to their low. differential and low thermal inertia. Current temperature range: 4 to 40 ° C.
It is currently derived from incubator thermostats used in poultry incubators since more than 50 years. The sensitive part is a barometric type capsule (Named ‘capsule de Vidie’), filled with low boiling temperature liquid. 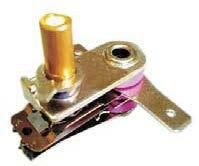 They are widely used in household room thermostats. 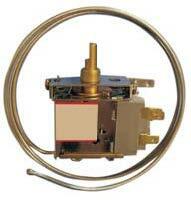 Current Page: 4 to 40 ° C.
These thermostats are used for controlling the temperature of the refrigerating systems. The low thermal inertia of the capillary system, and the possibility of obtaining significant differential is the main feature of these vapor pressure devices. They are mainly used in industrial applications because the vapor pressure can achieve quite easily adjustable differential devices. These devices were using a filament style heating system in a glass bulb partially filled with air and containing mercury. Pushed by the expanding air, the mercury passed through a tube into a compartment containing an electrode with which it established an electrical contact. This system, coupled with a slow break bimetal thermostat contact avoided contact triggering, and achieved very low differential and high electrical rating. This system ,very accurate, very reliable, has completely disappeared. 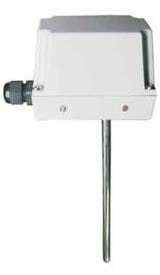 The gas expansion thermometers are used in industrial applications, they have a low thermal inertia and can be used in high temperatures. They use the wax melting temperature expansion. There is little use of them in sys- tems operating an electrical contact, but they are widely used to provide mechanical movements (Car engine thermostats, radiator thermostats, door locks, valve control). 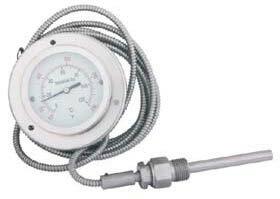 This system can actuate an electrical contact, or operate a valve to control the flow of water when the temperature changes. Current ranges from 30 to 150 °C. This is the main system used in thermal cut out. Millions of these devices are currently produced in the world. It is a highly reliable system, whose operation is safe. The electrical contacts are either cut by the conductor melting (Rating generally limited to 4A) or by melting of a pellet releasing a spring contact (Rating up to 25A). Current ranges from 60 to 300 ° C.
The melting part is made of metal or plastic. This system, known as TCO (thermal cut-off ) is the ultimate security system. It is inexpensive. A variant of these systems are also used in non-electric appliances for releasing a mechanism, in particular in fire detection apparatus. 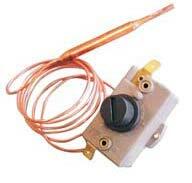 The most common thermostat of this type is the failsafe capillary limiter with manual reset. 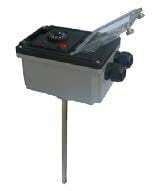 This system measures the boiling of a liquid contained in a capillary or a bulb at the end of the capillary. 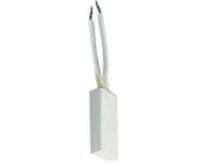 Temperature sensing on + / -300 mm capillary is required to operate the contact. For this reason, models often have their capillary curled at the end, with dimensions similar to a bulb. 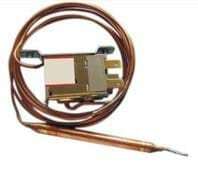 These devices are always fixed temperature types, most of time calibrated within the 50 to 170 ° C span, and the capillary length is limited to + / -900 mm for transmission of the excess pressure due to the boiling reasons or depression due to the rupture of the capillary.